Sigma Chi was established at Miami University in Oxford, Ohio in 1855. With 239 active chapters and 300,000 initiates all over the United States and Canada Sigma Chi remains to be one of the largest social fraternities in North America. The organization has five operational entities. The fraternity mainly specializes in education, fundraising and scholarship and its ideas are based on friendship, justice and learning. 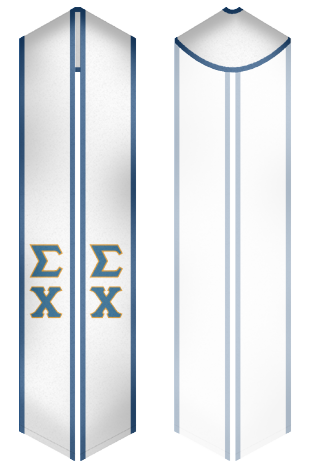 Sigma Chi fraternity can proudly boast of its own original colors, insignia, letters, nomenclature and ritual. 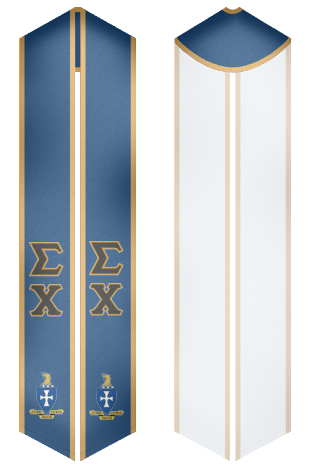 At our website you will be able to buy perfectly designed stoles and graduation sashes for Sigma Chi fraternity.